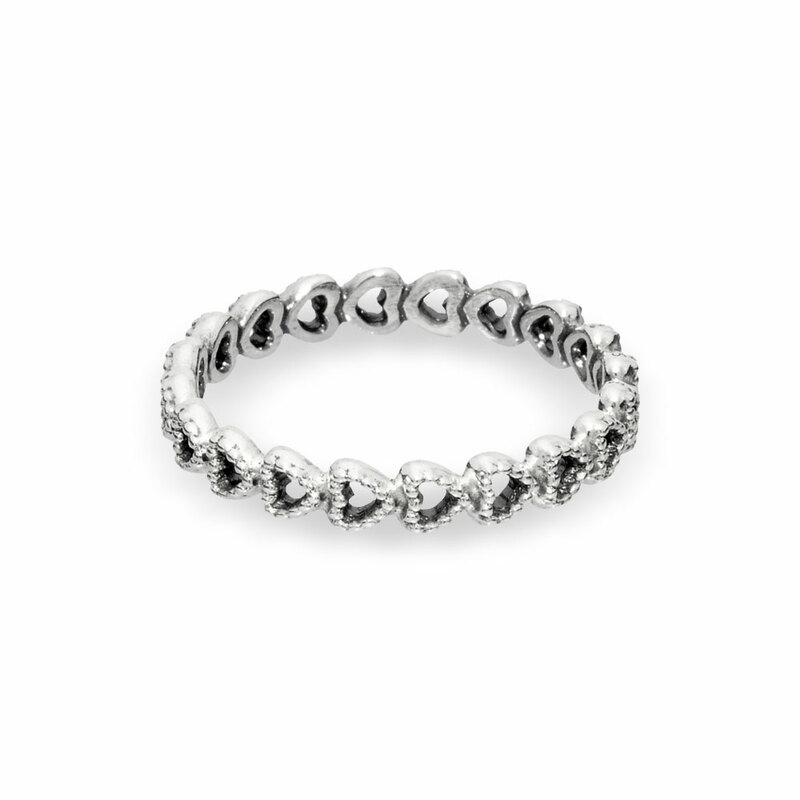 Simple yet elegant, this sterling silver ring is comprised of a series of connected hearts. With beaded details and meangiful design, it will add a chic expression to every ring stack. Linked Love Ring is rated 4.9 out of 5 by 70. Rated 5 out of 5 by Becky0220 from Beautiful rings I bought a pair of these, one for my 11 year old and one for me. I’m due to have another little girl soon and wanted something to give my oldest to show that we will still have a special bond and that I will always love her even though she isn’t the only child anymore. The rings are beautiful and I can’t wait to give one to her! Rated 5 out of 5 by Brandi9 from Love it! I just got this today for Valentines day from my boyfriend. I love it. And its a very comfortable ring. It's my first stackable ring. Rated 5 out of 5 by Kimba51 from Great features! I bought this ring as a high school graduation present for my daughter. She absolutely loves it and so do I. The ring is so much more beautiful in person then the picture. Rated 5 out of 5 by Suzy85 from Great love ring! I bought this beautiful love ring 2 weekes ago and I received exactly what is I saw and exactly what I expected and what made me more happier is that Pandora does carry exactly my size was what I was happy! Thanks Pandora! Rated 4 out of 5 by Bharrison544 from Very durable My boyfriend got this for me and it hasn't disappointed. I work with horses and it's proven its durability since it still hasnt lost its shape. Hasn't tarnished at all either, even with wearing it 24/7. The only downfall is after a year of continuous wear, it has gotten worn from being on my finger and is now too big. Otherwise, absolutely love it. Rated 5 out of 5 by CynthiaYvette from Linked Love Ring 3 day shipping on point, simple and beautiful ring.